^ （英文）Forsythe, David P. (2005) The Humanitarians: The International Committee of the Red Cross, Cambridge University Press. ISBN 0-521-61281-0. 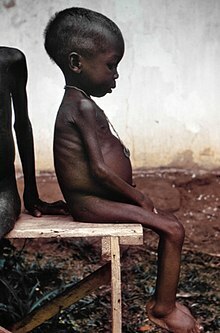 ^ （英文）无国界医生 Article (2002) Malnutrition: rates and measures[永久失效連結] 无国界医生. Retrieved Dec. 28, 2005. （英文） Bortolotti, D (2004). Hope in Hell: Inside the World of Doctors Without Borders[永久失效連結], Firefly Books. （英文） Greenberg KS (2002). Humanitarianism in the Post-Colonial Era: The History of Médecins Sans FrontièresPDF, The Concord Review. （英文） McCall M, Salama P (1999). Selection, training, and support of relief workers: an occupational health issue, British Medical Journal 318: 113-116. （英文） Zwi AB (2004). How should the health community respond to violent political conflict?, PLoS Medicine (online) 1 (1). （英文） Katz IT, Wright AA (2004). Collateral Damage — Médecins sans Frontières Leaves Afghanistan and Iraq, The New England Journal of Medicine 351 (25): 2571-2573.